Conductor of CN train L50781 waves out the window of the fleet's grubbiest-looking GP40-2L to the crew of a southbound mainline train. L507 is on a yard track at Ackerville, where the crew is about ready to assemble their train for West Bend. We'll catch up with them later in the day. 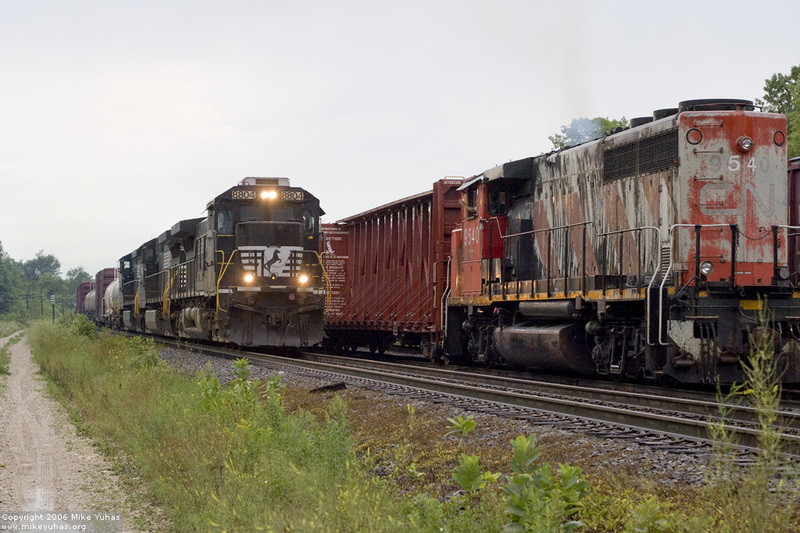 The mainline train is 408, which today rates three Norfolk Southern units to handle 92 cars.